"Is there any way to perform SDHC card recovery? I have an SDHC card and it’s full of family photos and videos. While transferring the data from the SDHC card to my computer, with some errors, it seems I've lost dozens of photos and videos. Please help me to recover deleted files from SDHC memory card on Mac or Windows PC." SDHC stands for Secure Digital High Capacity, meaning it is equipped with a powerful capacity for protecting data security compared with the ordinary SD card. However, it doesn’t mean there is no error while using it, like SDHC card recovery not formatted errors, as well as the data losing risks while doing something wrong with it. Whenever you face the problem of losing data, you should learn how to do SDHC card recovery, recovering data from SDHC card. Here in the following, we’re going to explain the way to recover files from SDHC card. Let’s see how it works. 2. Download and install the SDHC card recovery software, preparing to recover the lost or deleted data from the SDHC card. You can’t do the recovery process manually by yourself since you can’t see it. Please remember the data recovery software should be a desktop version, for the purpose of protecting your SDHC data from being overwritten. Easily to recover lost or deleted files from SDHC card on Mac or Window no matter in what scenarios you've lost the data. The memory card recovery program supports more than 500 file types, covering all the file types, including photos, videos, documents, audio files, documents and more. Easy for individuals to use since there aren't many jargons there. Streamline SDHC card recovery process with great built-in navigation. Click the download button to get the .exe/.dmg installation file of the SDHC card recovery software. Double-click it on your computer to install. It’s safe to install the software. It is virus-free. 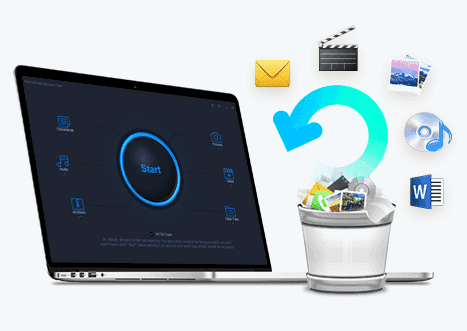 And then, you can easily and quickly recover deleted files from SD card on Mac or Windows now! As i have mentioned you can use the e-card reader to connect SDHC card with your computer or just keep it in the original device with connecting the device with your computer. It’s up to you. Just make sure it appears on your computer. Launch the software and select the file types to scan from the primary window. By default, all supported files are selected. You can keep it and jump to the next step or uncheck the unneeded file types. By unchecking the unneeded files, it will save your time for the whole scanning process. Click "Start" to starting the SDHC card recovery process. Next, in the drive list, please select the one as your SDHC card to scan. It is a must step. Click "Scan" to start the SanDisk SDHC card recovery software scanning. 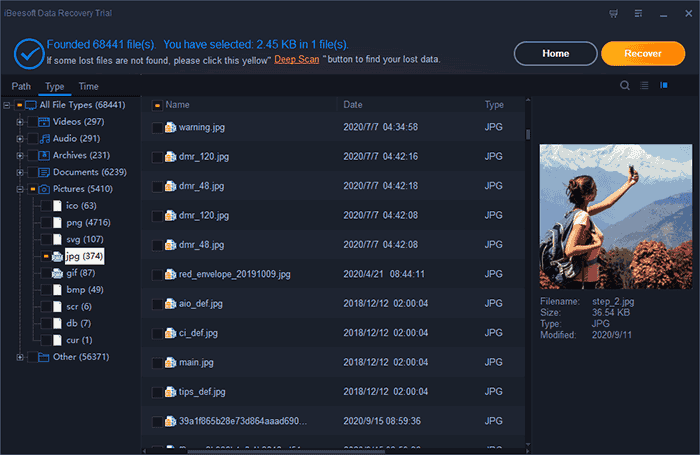 You can stop the scanning process if you see the files you’re looking for are found by the recover SDHC memory card tool during the scanning process. My suggestion is waiting it stop the whole process. You’d never know whether it can find sometime unexpected for you. After the scanning process, preview the files you need and click "Recover" to save them on your computer. By default the scanning mode you’re using is Quick Scan. It’s the quickest way to scan your SDHC card to look for deleted or lost data. 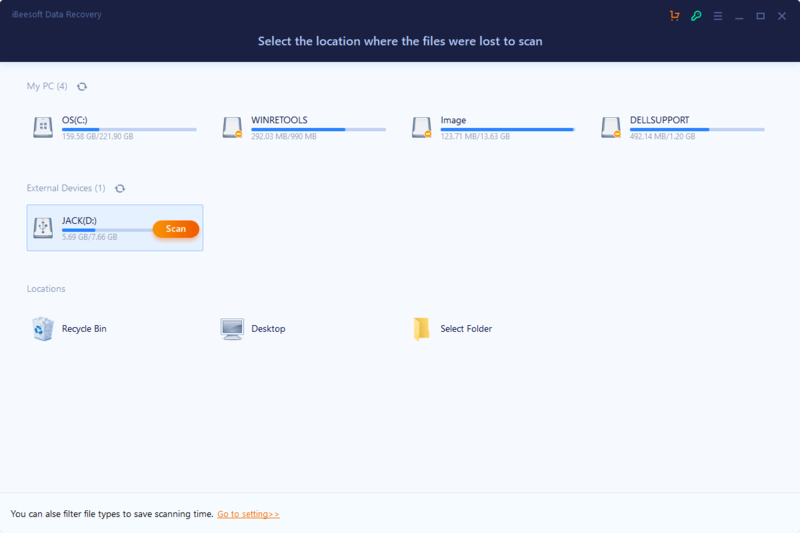 You can try the Deep Scan in the result window, it will scan more carefully for the files lost in SDHC card, even files with the property lost. You can save the results from the Deep Scan, filtering out the wanted files.